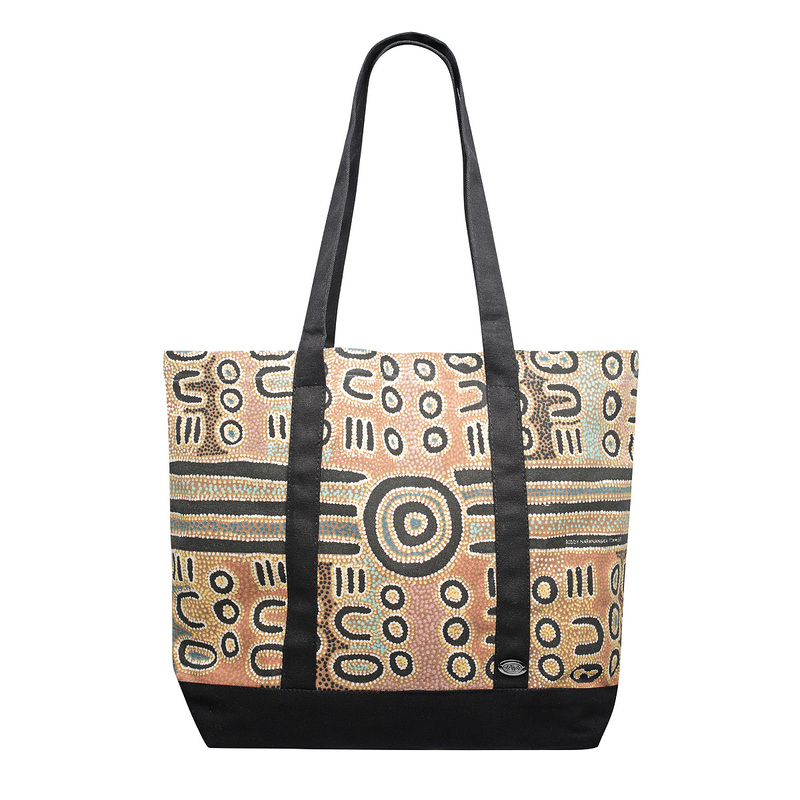 This Aboriginal print canvas shopper bag is the perfect Australian gift. 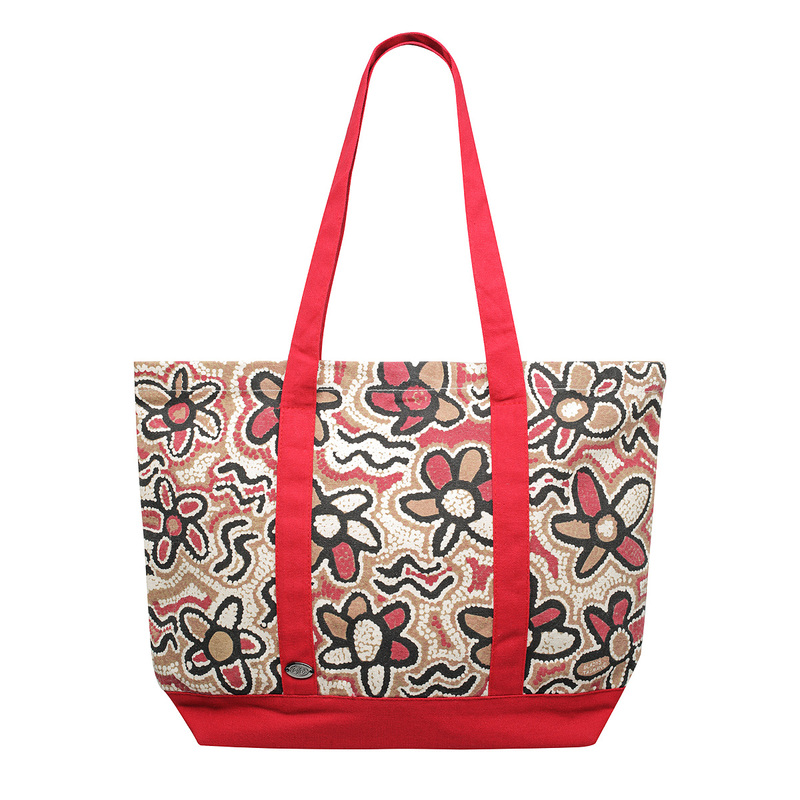 Made from 100% cotton canvas, it features a beautiful painting by Indigenous artist Norman Cox called “Kangaroo Story”. 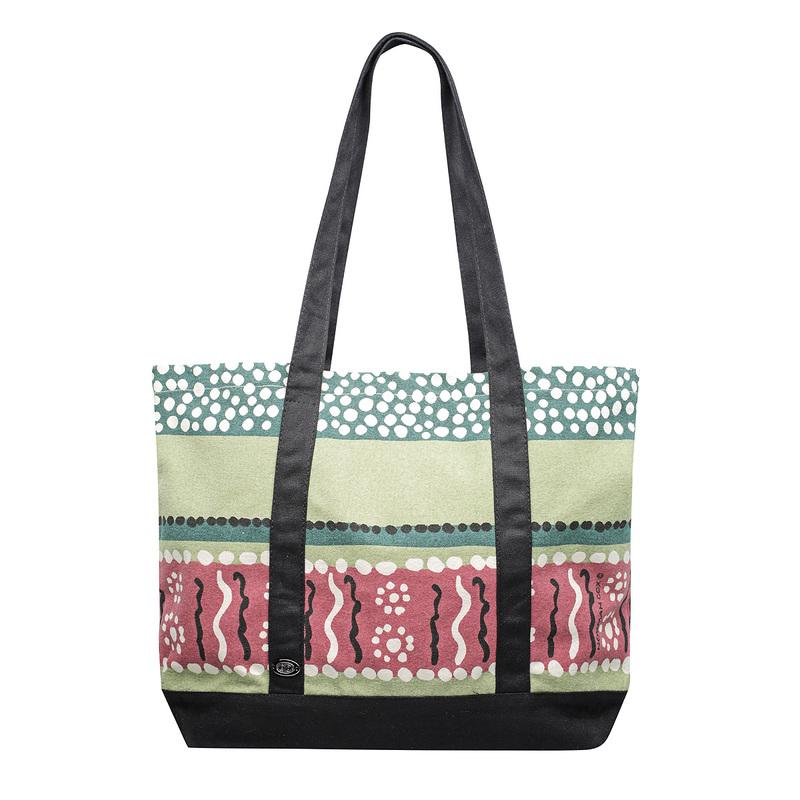 In greens, wine and with black handles, it’s perfect for any shopping trip. 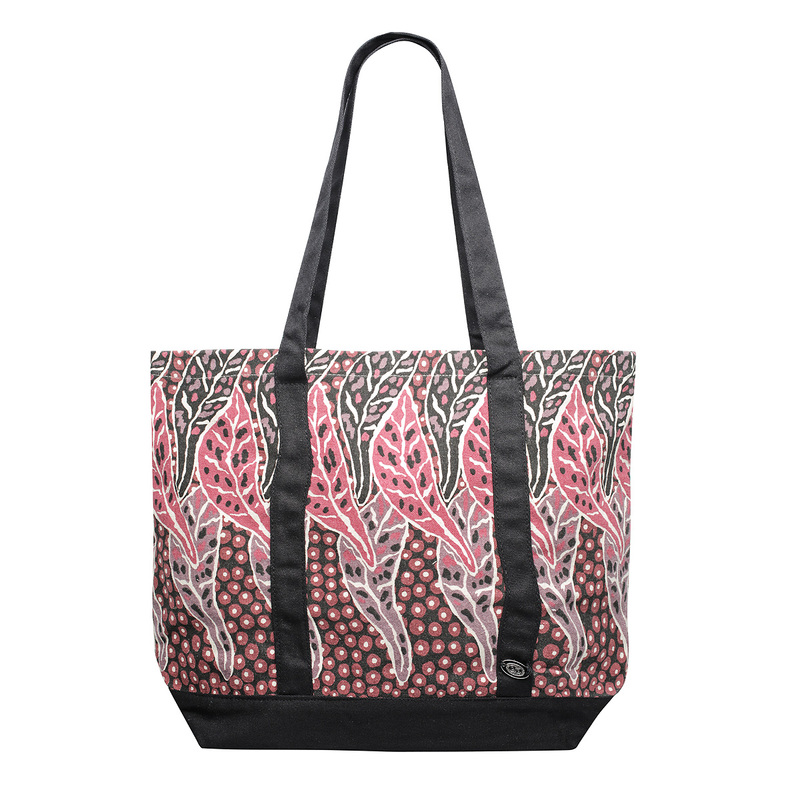 It’s the perfect souvenir from Australia and very practical. 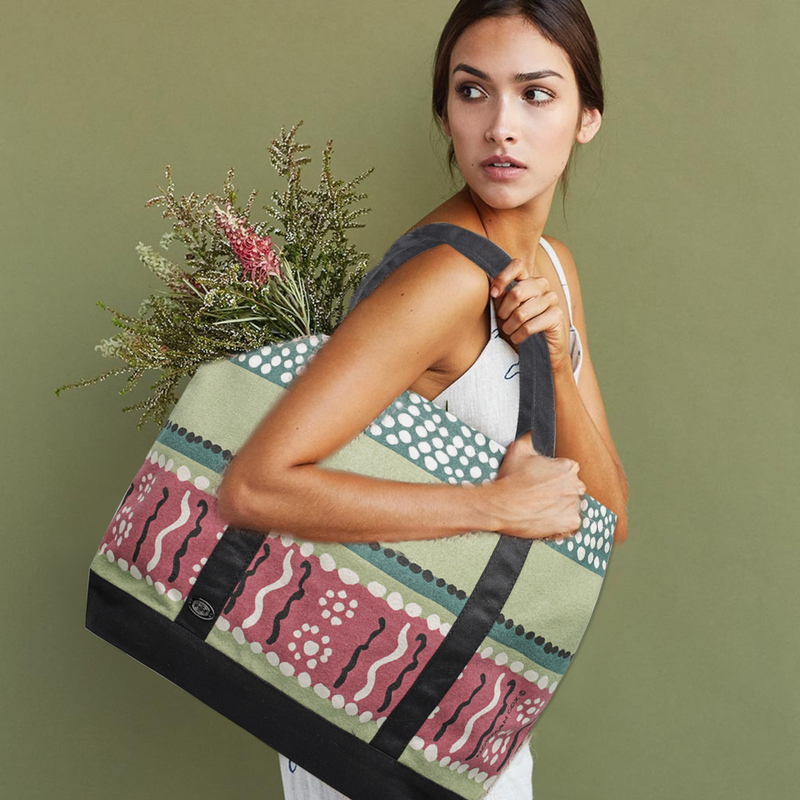 By purchasing this product you are supporting this Aboriginal Artist who’s family receive a royalty for every product sold.